"Massimo Di Costanzo is massively talented and deeply passionate about his craft. And his resumé couldn’t be any better. A lot of young winemakers talk the talk, but Massimo di Costanzo is one of the few who actually talks the talk and walks the walk, which places him among Napa Valley’s most talented emerging winemakers. His 2015 Cabernet Sauvignon Farella Vineyard is dense, plush and explosive. 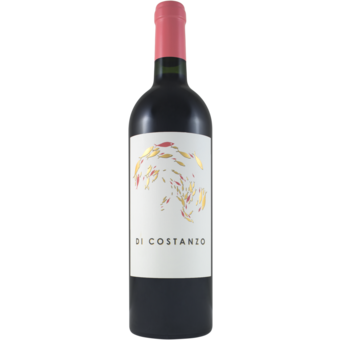 In 2015, Di Costanzo's Cabernet Sauvignon Farella Vineyard has quite a bit more body and textural richness than it usually has, with fewer of the more mineral and savory notes found in vintages like 2013 and 2014. I would give the 2015 a few years to shed some baby fat. Succulent dark cherry, plum, menthol and chocolate notes add to the wine's brooding, virile feel. Once again, I was struck by the wines I tasted with Massimo di Costanzo. The 2015 and 2016 Cabernets from Farella, in Coombsville, are both impressive, while a new wine from a site in Oakville shows considerable potential. I also tasted a handful of 2017s that make me hopeful at least some wines from this vintage will survive. Massimo Di Costanzo remains one of Napa Valley's most promising young producers." 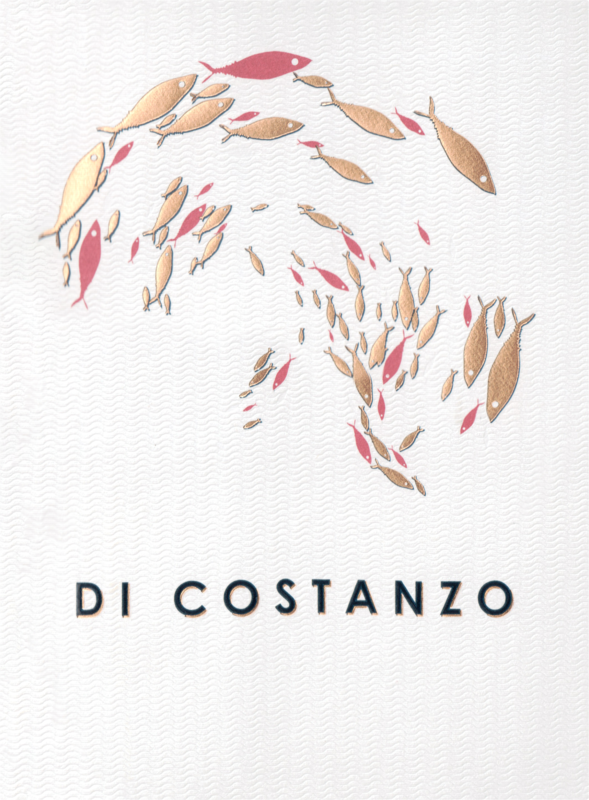 "Di Costanzo Wines was founded with the 2010 vintage by owner and winemaker Massimo Di Costanzo. Massimo grew up in an Italian household in Berkeley, California – where wine, food and conversation were blended together during meals. When Massimo went to college (U.C. Davis) he did not initially enroll with the idea of becoming a winemaker. Rather he was interested in economics and business – but after enrolling in an introductory course to wine making and earning a very high grade in this class his interest was, as he says, ‘piqued by the process’ and he switched career paths ultimately graduating with a degree in wine making. Post college wine making work took him oversees to a number of wine regions including to Italy, South Africa and Mendoza, Argentina. He learned how quality wines were made around the world and this experience gave him an international perspective on wine making. But ultimately he chose Napa as the region where he wanted to establish his own career. He had been drawn to well established producers making wines with restraint and finesse – including vintners such as Cathy Corison and Ric Foreman. His first job in the Napa Valley was working at Provenance with winemaker Tom Rinaldi. In 2005 he met accomplished winemaker Andy Erickson and worked at what was a new winery at the time, Ovid on Pritchard Hill. Massimo then spent 2.5 years working with Andy as his assistant winemaker at Screaming Eagle (during what were exciting times at that vineyard with a winery redesign and a vintage that earned a remarkable score of 100 points from wine critic, Robert Parker). He then left Screaming Eagle to work with winemaker Philippe Melka. But for many years his dream had been to establish his own brand. In 2008 and 2009 he purchased fruit from up valley (Oakville and St. Helena), made his own wine but did not release it commercially. While looking for a winery to make his wine at, he was introduced to vintner Tom Farella. Massimo had already been familiar with Tom’s wines prior, and he recalls how well they tended to age. Looking to work with a cooler climate Napa Vineyard, Tom’s vineyard in the soon to be designated Coombsville appellation at the time seemed like a perfect fit. And timing was right – after the economic downturn of 2008 all of the sudden vineyards who were selling fruit to others had a surplus of grapes. In 2010 Massimo was able to choose select blocks in the Farella Vineyard and has continued sourcing fruit from these same blocks. His first Farella Vineyard designate was merely 100 cases – today production has grown to typically between 300 to 400 cases a year. In 2016 Massimo expanded his vineyard portfolio to include the Rafael Vineyard in the western part of the Oak Knoll District. The Farella Vineyard is one of Coombsville’s older vineyards – and contains the oldest Cabernet Sauvignon vines in the appellation. Massimo says “this vineyard makes the wines” – as a result he doesn’t have to do much manipulation once the grapes come into the winery. He picks at a reasonable brix – his wines from this vineyard have all natural acidity (no acidulation needed), he does not fine or filter and uses a minimum of SO2. The wine typically is aged in 50% new French Oak for 22 months and then receives another 6 months in bottle before being released.